Let’s face it. Not a whole lot has changed with AT tech bindings over the last few years. But Fritschi has slowly been working to improve their existing lightweight Vipec binding. And for 2017-18 they will introduce their Tecton binding, a more burly touring binding which will directly compete with the Marker Kingpin. The original Vipec binding was released for the 2013-14 season and I have skied on this binding ever since, on a different model of it with each season. Every year Fritschi has continued to improve their binding and I can say it continues to evolve nicely. A side-by-side comparison of the 2017-18 Fritschi Vipec Evo and the current Vipec 12 TUV. The heel piece remains the same between the two, but there are small changes to the toe. The new Vipec Evo binding is a continuation of this evolution. 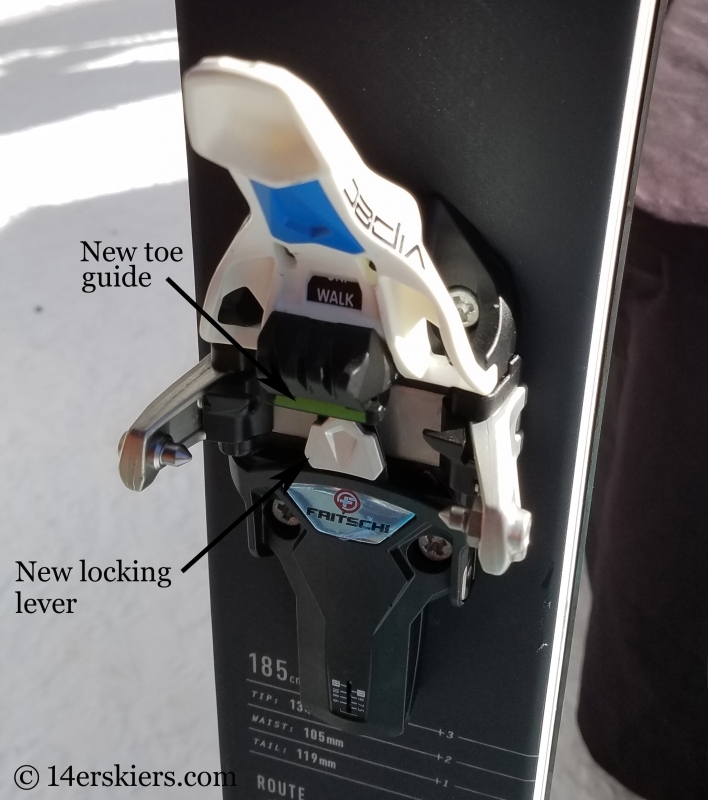 It still holds all the things about the original Vipec that I love which include: 1) a release value in both the toe and heel that is similar to a DIN setting 2) easy switch from skiing to touring and back 3) elasticity so the binding does not feel so rigid and 4) lightweight. However, recent Vipec models have had two main complaints. 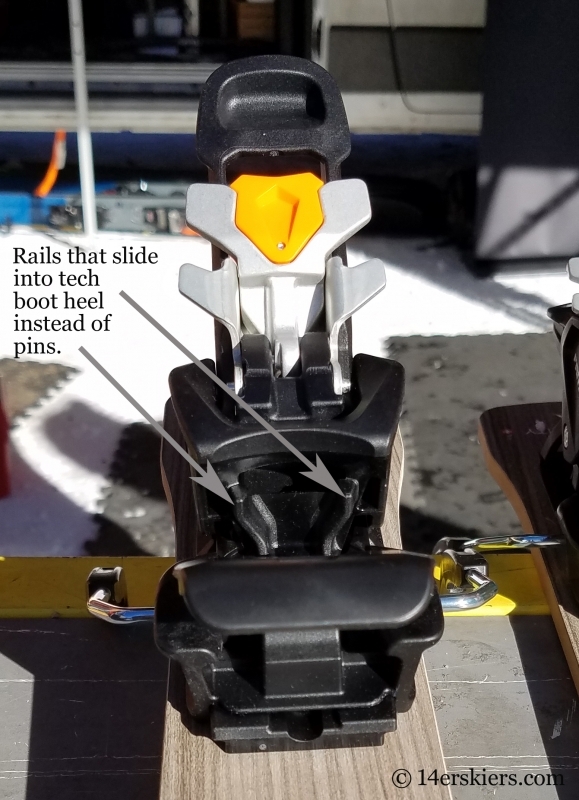 The first is that snow would build up on the inside of the heel of the binding, making it difficult to make the binding lock into ski mode.  I describe this problem in detail on this review from 2014. But, after skiing the “Black” Vipec model (called the Vipec 12 TUV) that came out last season, I experienced this problem very little, so this problem has seemed to improve. The 2017 Vipec Evo 12 will have this same heel piece. 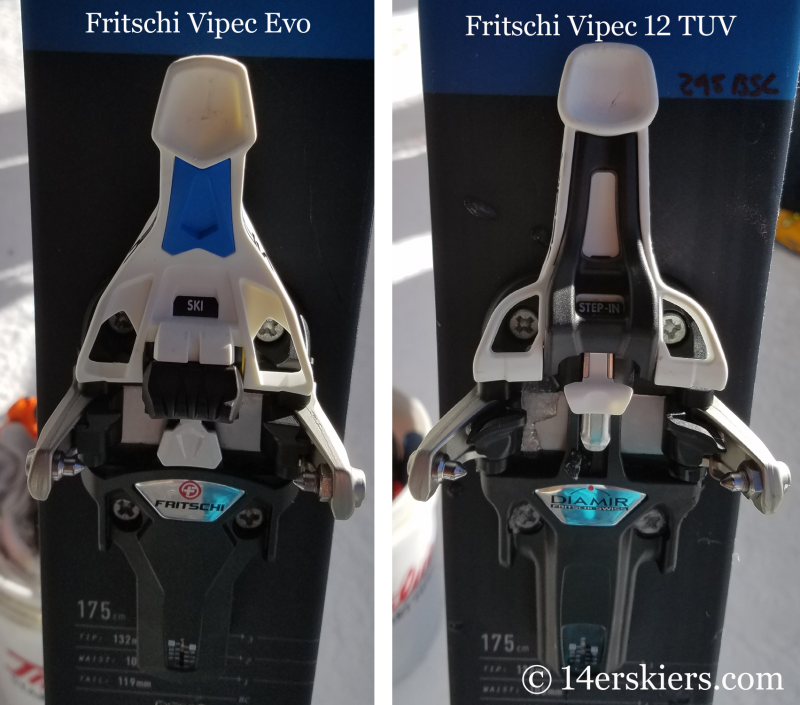 New features that Fritschi built into the Vipec Evo toe to help make stepping into the binding easier. The second main complaint was that the original Vipec toe pieces were hard to step into. This has improved with every model and Fritschi has directly addressed this problem with the Vipec Evo by adding a new bumper in front of the toe which helps guide the boot into a clean locking position. Additionally, they have altered the locking trigger mechanism under the toe which also helps guide the boot into place as well as acts as a safety to help release the toe when the heel comes out first. All of this has made stepping into the toe smooth as ever and virtually fool-proof. Gram counters will care that the Evo is reported at 500 g per pair without brakes. Adding brakes increases the weight by about 80 grams. This is very comparable in weight to the current Vipec 12 TUV binding. The MSRP for the Evo is $599.95. The real meat of Frischi’s developments lies in the Tecton, a large step forward in the evolution of AT tech bindings. The Tecton uses the same toe piece as the Vipec Evo, and thus contains all the features mentioned above. But the heel piece is where the innovation lies, with a variation of an alpine heel piece intended to rival the Marker Kingpin. 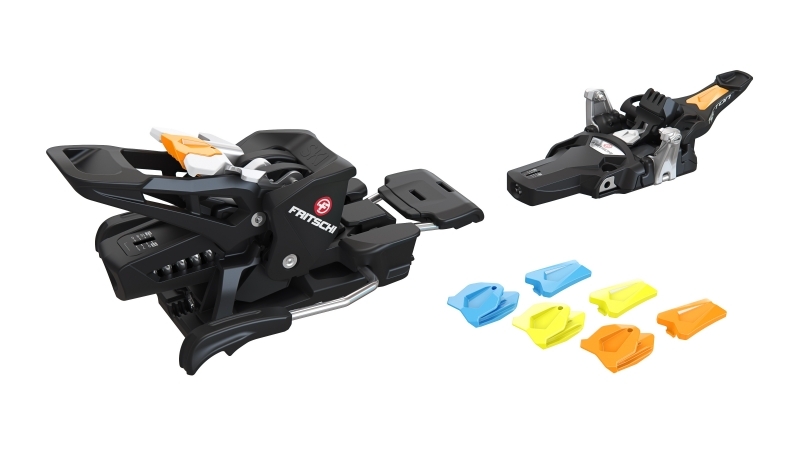 Fritchi’s Tecton binding should be available for the 2017-18 season. The Tecton toe piece is identical to the Vipec Evo. 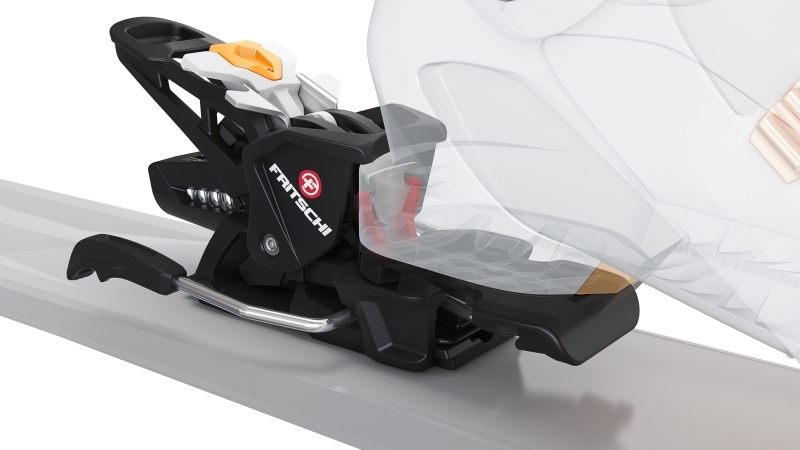 Kingpin fans take note – The Fritschi Tecton binding is 100 grams lighter. Fritschi is reporting the weight of the Tecton to be 550 grams per pair (80 grams more to add brakes), while The Kingpin is reported at 650 grams (730 g with brakes). The Fritschi Tecton heel piece. Similar to the Kingpin, the Tecton has adapted an alpine style heel, complete with downward pressure. The hold-down pushes the sole of the boot on to the heel plate so that the boot is directly connected to it without a gap. But, Fritschi has also integrated a unique rail system into their design. These rails slide vertically into the back of your AT boot where the pins would normally go. 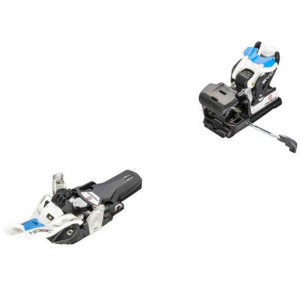 This added contact helps improve the overall power and lateral stability of the ski. 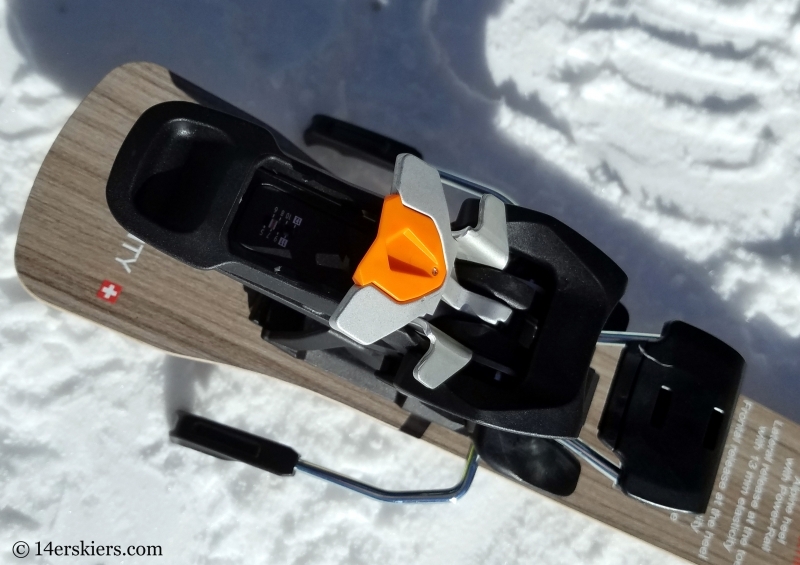 The heel piece is made of nylon fiberglass composite, found in most alpine bindings, and also has a DIN release value and mechanism which also mimic the mechanics of a typical alpine binding. The innovative Power Rail system on the heel piece of the Fritschi Tecton binding improve lateral stability and power. In the Fritschi Tecton the heel of your tech boots slide into rails rather than pins. Photo courtesy of Fritschi. One benefit of an alpine style heel is that the binding will be more likely to release when you need it to, hopefully preventing potential injury. The Tecton has a frontal release system with 9 mm of dynamic way. The Fritschi Tecton in touring position. 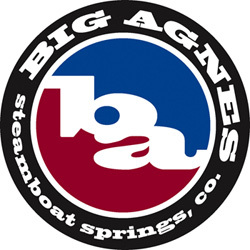 When a ski boot steps down on the brake, it will then lock flush with the ski. To put the binding into tour mode, you need to pop the heel piece up and then step down to lock the brake into raised position (if you have one). You’ll find additional riser bars to adjust for steeper ascent angles. 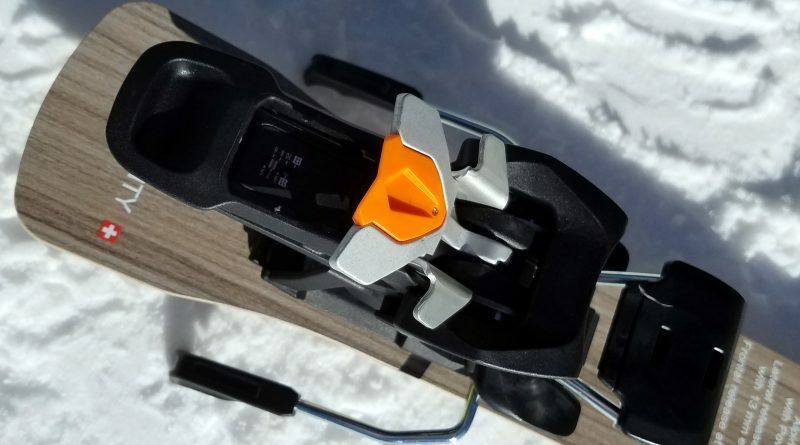 After touring, simply tuck the risers back into the heel and pop the heel piece back as you would a typical alpine binding to put the binding into ski mode. Since we have not used these bindings in the field, we aren’t certain how difficult these transitions would be without taking skis off. But, they seem easier than a Kingpin with it’s sliding lever system under the foot. I believe both the transition from ski to tour and from tour to ski could be done without having to take the ski off, after some practice. You may need to use the top end of your pole by the grip rather than the basket end to help put the heel into tour mode. The Tecton heel with the middle riser up. The Tecton heel with the third and highest riser engaged. The Tecton will be available next season and the MSRP is $649.95. 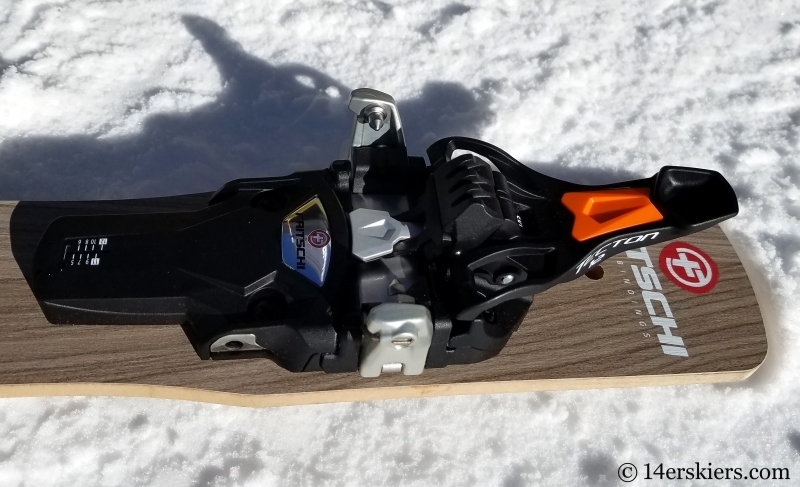 Similar to the Evo, this binding is crampon compatible, offers the same brake options as the Vipec, and has DIN release values ranging from 5 to 12. Fashionistas will love that the Tecton has inserts that come in three different color options – orange, yellow, and blue. The Fritschi Tecton binding has interchangable Dynamic Color Clip options so you can be even more fashionable on the slopes 😉 Photo courtesy of Fritschi. 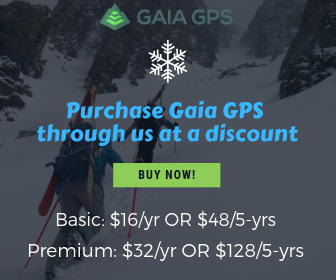 There’s no doubt that the ski industry is making improvements for the “quiver-of-one” skier – those who want just one set up for both touring and skiing at the resort. The Marker Kingpin has been at the pinnacle of this blend for quite some time. 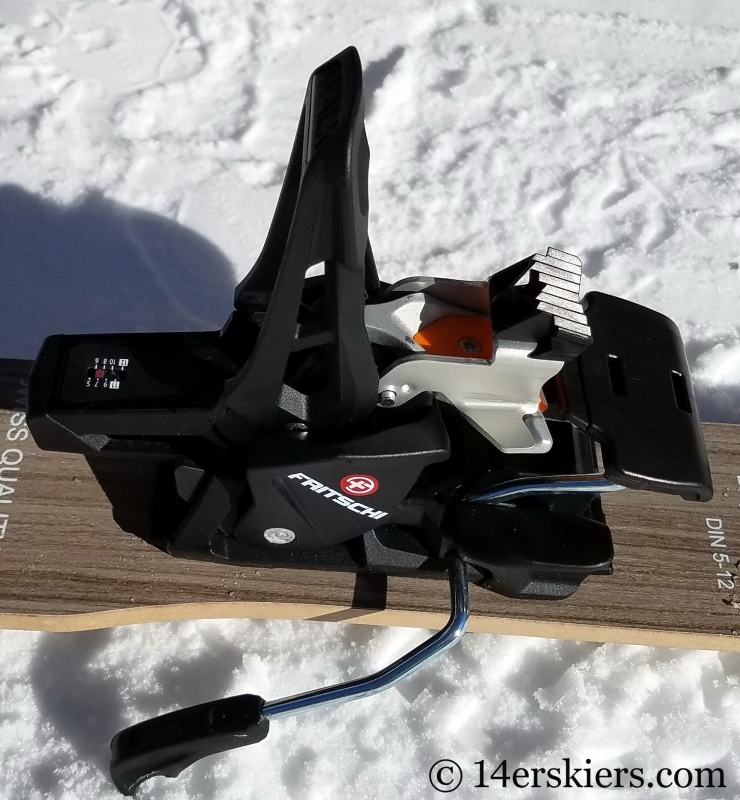 Though the Kingpin skis exceptionally well, its transition system with the lever under the foot leaves some things to be desired. I personally have been waiting for a better binding to come along that fits into this “quiver-of-one” niche. Perhaps the Tecton will be the ultimate “quiver-of-one” binding. At first glace, I love a lot of features about the Tecton. I think that the added power stability associated with the alpine style heel is worth the extra 50 grams of weight when compared to the Evo. Packed with features to improve performance, the Tecton is also full of mechanisms to improve safety. I can’t wait to try these out in the field. 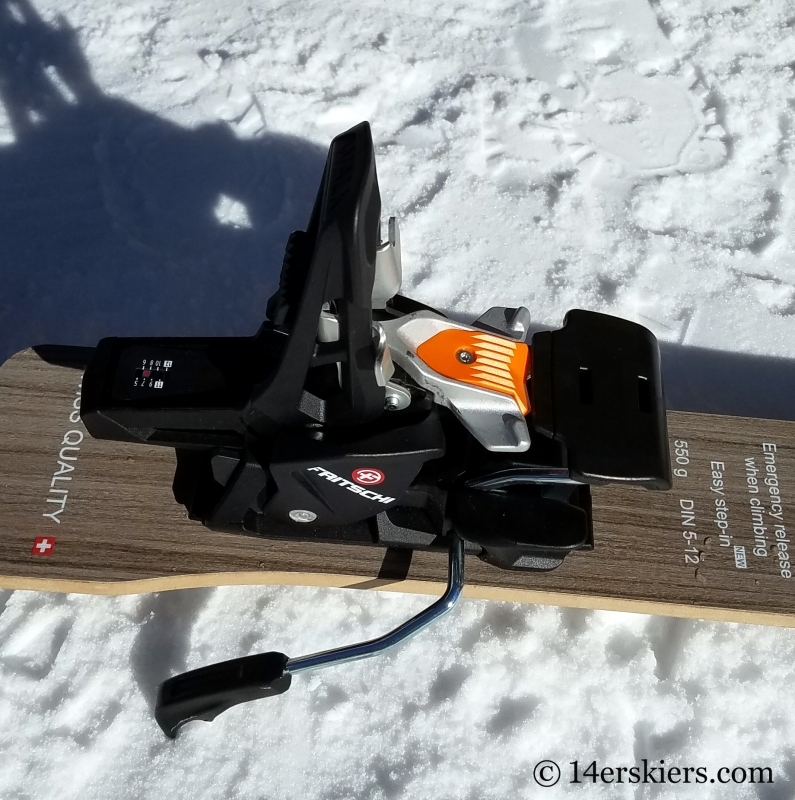 The innovative Fritschi Tecton is latest progression in the ultimate "quiver-of-one"tech binding! Do you know if the binding is flat when in tour mode? I have the older Dynafit beast which does NOT tour flat. The heel is always elevated and will drive you crazy on the flats. This binding may be the Holy Grail. Great to know Lee! Would that be true from skiing to touring as well? Bo, that’s a good question and one I am not 100 % sure about. Let me see if I can find out! Hi Bo! It’s turns out the Tectons tour flat! Hope that helps!